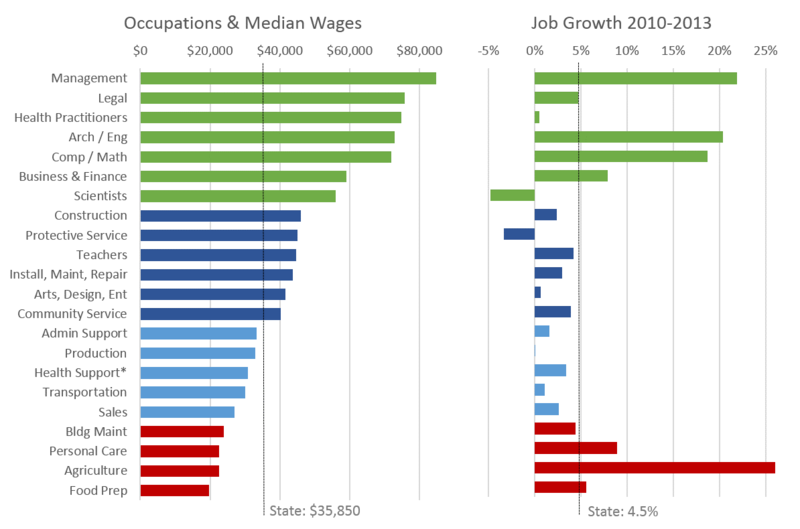 In terms of each occupational group in expansion, the graph below clearly shows the polarization pattern of strongest growth at the high- and low-wage levels. However if you compare with the graph from last year (with data through 2012) the middle-wage occupations have shown improvement. Additionally we have made one, relatively minor, methodological change in terms of the health support occupations. See below for a full explanation. Finally, even as growth in Oregon has spread beyond the Portland Metro in the past year or two, it still largely remains within the other metropolitan areas of the state, namely Bend and Medford but also Salem as well. 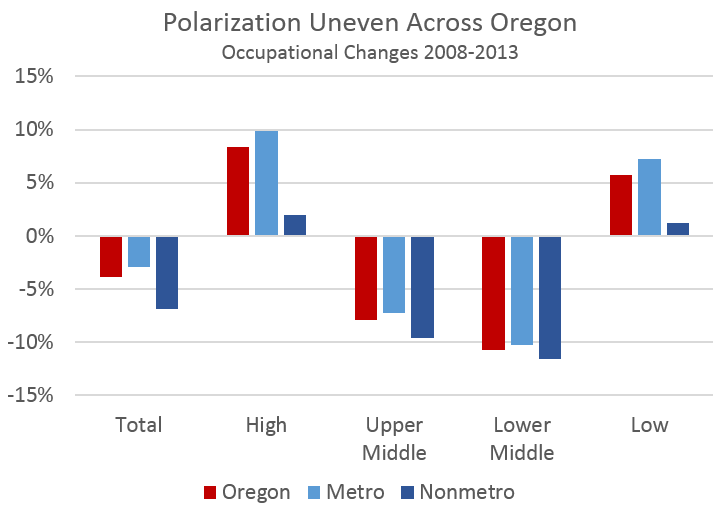 Rural Oregon, while seeing some job growth, remains further below pre-recession levels than the state’s metropolitan areas. 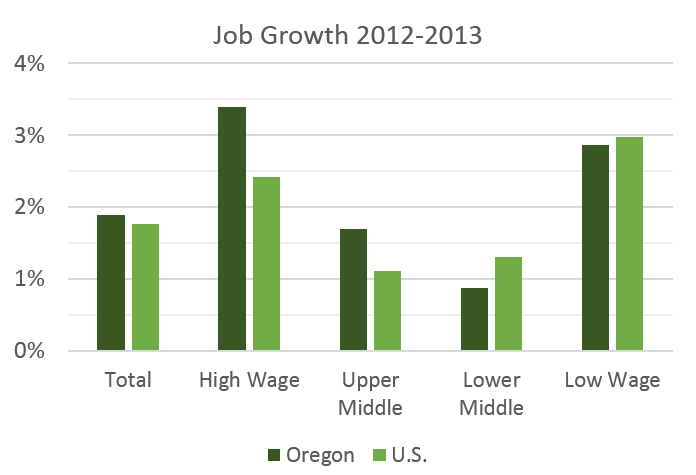 Overall, Oregon’s labor market in 2013 saw an improvement relative to the lackluster growth so far in expansion, however the state is still digging out from the Great Recession and has a lot more room for improvement. * You may remember that health support had previously shown some large declines relative to everything else and the U.S. overall, which in consultation with the Bureau of Labor Statistics largely turned out to be a data and classification issue. Many of these jobs are now showing up in personal care as personal care aides, and not occupations like home health aides or the like, even though they effectively are the same job, or at least type of job. Given that the data clearly show that these are offsetting each other, our office is now including personal care aides in health support and not personal care. Somewhat confusing, I know, but this does capture the underlying trends better.